Nowadays, participants at events want to feel involved with the meeting they are attending. They want to be in the thick of it, voting, influencing, asking questions and interacting with others. 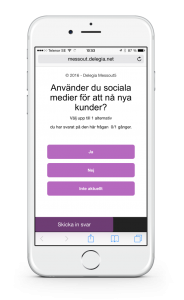 Using Delegia Interaction as an app in the participants’ own smartphones enables them to vote live and pose questions during the event. 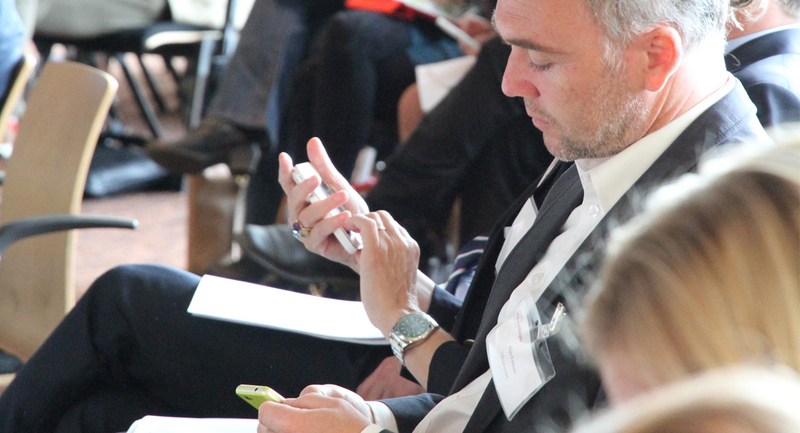 The phones function as an upgraded version of previous interactive tools and are an effective alternative to the otherwise complicated show of hands. With assistance from Delegia Interaction and Gamification, you can create motivational and engaging drills and exercises which inspire participation from even the younger attendees present, likely to be more accustomed to gaming. By using Gamification, you can activate the participants at both a team and an individual level. This is an excellent tool for clarifying company mission statements and breaking them down into more concrete objectives, to raise awareness of the company’s values, culture and KPIs, for example. Delegia Vote enables participants to vote live during a meeting, via a unit of their own choice such as a laptop or smartphone. It is possible also to participate remotely and to vote by proxy. This requires that the unit being used has a web browser and an Internet connection. 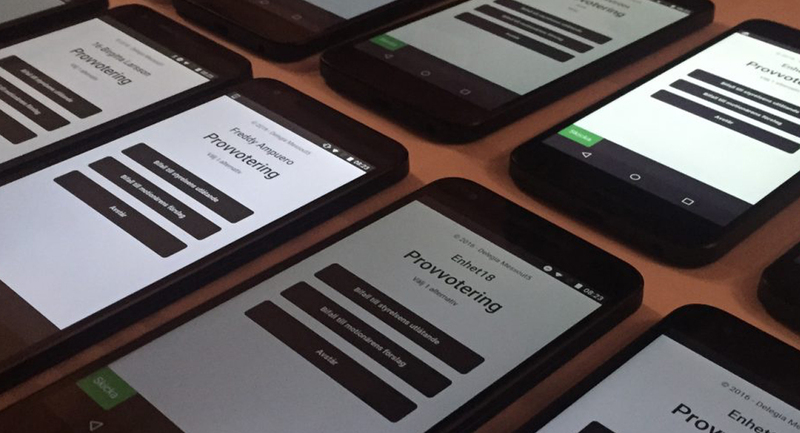 It is possible to arrange live voting by way of a button option, with your own texting on the buttons. You can also carry out voting with weighted voting and hold secret ballots with the possibility for number of votes and abstentions. Delegia Vote has support for priority listing. Units may be hired from us if preferred. Would you like to know more about our features for integrating with your participants? Get in touch with us now!